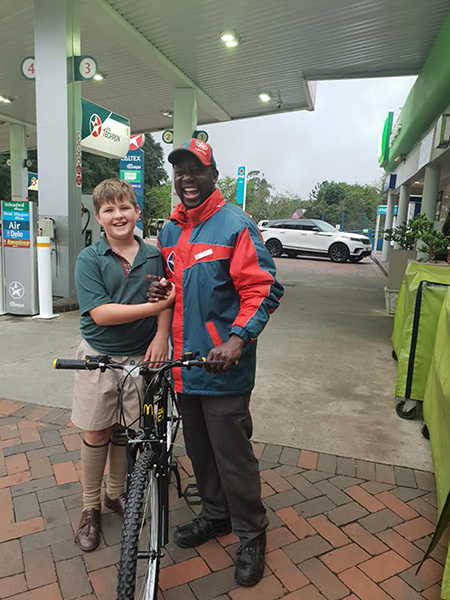 Vaughn Fish, a kind and warm-hearted 10-year-old, decided that instead of saving for a vacation, he was going to buy his favorite gas attendant a much needed bicycle. “Above all things I regard kindness of heart, and over the years I’ve tried to live like that and teach my child to do the same. About 2 months ago we met a wonderful man named Tony at the Caltex by the fire station. Vaughn was very sick, and within moments the attendant had him laughing and smiling. Since then we regularly visit the station and Vaughn eagerly looks out for his new friend. 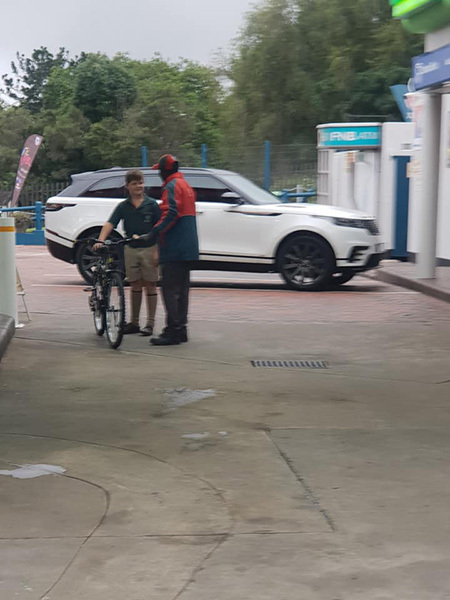 Tony always takes the time to talk to Vaughn about the various bikes we haul to Giba and back and listens so obligingly to him as he chatters away. So when Tony asked us to looks out for a reasonably priced bike for him Vaughn promised to find him one. And so today, we cracked open the piggy bank and took all the silvers to Game where he bought his friend a bicycle. 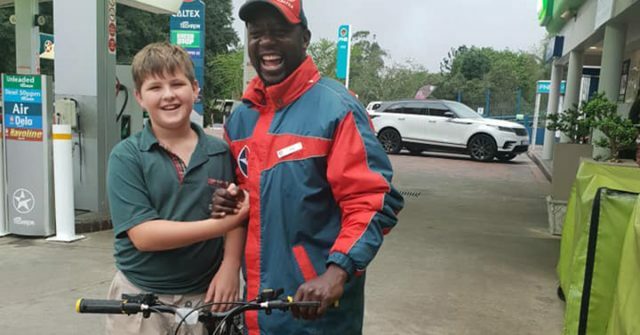 Our children make us proud on so many occasions but today my heart and his is so full of the joy at the kind man’s face as he, rather stunned accepted his gift from this 10-year-old-boy. Now the two friends will be able to ride together on their bikes of kindness. Vaughn’s selfless act of kindness of using his own savings to help a new friend is one that deserves to be recognized. If you have a favorite employee at a store you frequently visit, consider bringing them a small gift card, a coffee, or even some homemade cookies the next time you go to see them. Showing kindness makes the world a better place, and spreads love to all involved.